Amare Stoudemire has been struggling, like the New York Knicks, to find consistency. On Saturday night, he led the Knicks to their first win streak of the season, beating the sad looking Detroit Pistons 103-80 as Carmelo Anthony finally got just a bit of rest he desperately needed. The Pistons got nothing out of Tayshaun Prince and Jonas Jerebko, bot finishing with 4 points, and for a team like the Pistons, that struggle offensively and can’t rely on one player to carry them with his scoring, it just means they don’t have a chance of winning. If their defense was one of the best in the league, that would be a different story, but they’re far from that place. 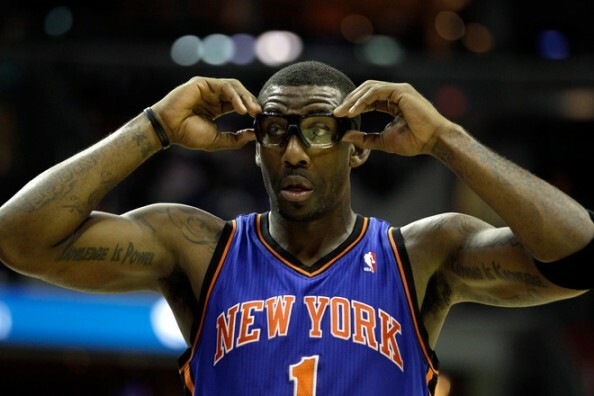 Maybe it was the recent talk of the next Dwight Howard trade, but something energized Stoudemire, who’s suffering from a problem at point guard for the Knicks. No Raymond Felton, no Chauncey Billups, and life is much harder for a big man who flourished in 2010-2011. This year? Dropped to 20.3 points and 8.3 rebounds per game. Mike Bibby stepped up from the bench for the Knicks, scoring 15 points on a rare shooting display for him, going 4-4 from three point range. Toney Douglas, who began the season as the starting point guard, has lost his place among D’Antoni’s favorites, and has played a total of 18 minutes during the last two night. He played over 30 when the season began. D’Antoni’s system needs a good point guard, a pass first point guard, for it to work. Felton made it click last season as the Knicks looked much better. The Big Anthony-Billups trade for half the team changed things, but Billups knows how to run the team, although not at the same speeds. Douglas? He’s been taking 18 shots a night before getting benched. Not something you want from your point guard when you have Anthony and Stoudemire on your team. Tyson Chandler hasn’t brough the change expected. That’s a misconception. Chandler plays well, putting up around double double numbers (11 points, 9 boards). The problems appear when he’s off the court, as the Knicks’ depth and bench was severley depleted last season, and they haven’t done enough to repair that fault. These are the Knicks, don’t get your hopes too high. A team that can sometimes put in enough of a defensive effort to back up the efforts of Amare and Anthony, who will give you a consistent offensive output. Around 40-45 points you’re guaranteed to get. Maybe even more. The problems begin with the rest of the guys on both ends. The Knicks might hover around the .500 this season, maybe a bit better, but don’t expect any deep playoff run with this head coach and this lineup.